I'm heading in to enjoy my mocha in an hour or so. No one is quite up and about yet, so I'm enjoying a brief moment of quiet. My mom came over and seems cheerful - it was nice to see her and we have to catch up sometime. I saw dad earlier in the week. He brought over a little computer that needed to be brought back to life. Fortunately he left happy. Emma is under the weather and Berry has been complaining about not feeling very well this week. One of the more challenging parenting tasks is to evaluate just how sick someone is. Sam enjoyed the Portland art museum, especially some of the modern art. Duncan is his usual cheerful self, continuing to work on Scratch games and animations. Possible work changes continue. I got a more relevant resume together and it turns out I actually know how to do a lot of things. I need to tell my manager about it relatively soon, as word is getting out. I haven't slept great all week, as I keep thinking about things. I'm looking forward to the weekend, despite a big work go-live on Sunday. Hopefully I can sneak out and enjoy the weather a little. I continue to move towards switching jobs, despite feeling nervous about the change. I need to rewrite my resume and get it security-focused. Sam's off to Portland for a field trip to the art museum. I told him he couldn't compare it to the museums of Europe, at least out loud. Berry says she feels poorly. Emma stayed home yesterday. Duncan's fine and making Scratch programs. Joanna seems increasingly normal, which I'm thankful for. The little lending library continues to come together. I continue to apply layers of paint and stain some wood. I need to put in a shelf, mount it to a post, and put it in some concrete in the ground. If only all problems were so easily fixed. What a great time I had with Sadie, Greg and Simon! In spite of the fact that I took my heavy raincoat with the winter lining, there was nooo snow! In fact, I think it was warm every day I was there. Simon is fun to play with, and is talking up a storm. We went out to the farm of their friends, Isaac and Sorrel, who have a little boy about Simon's age. And Simon and I walked all over the place, stopping to inspect every piece of construction equipment in Greenfield. You are all going to enjoy him so much at the family get together! On Saturday I took the train from New Haven to Washington, where Anna and her boyfriend Jimmy picked me up. 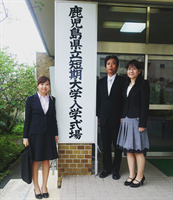 I had a very nice time with them; I hadn't met her boyfriend before, and I thought he was really a nice fellow. I got to go to the Museum of the American Indian, the Museum of Natural History, and stopped at the Art Museum. But it was nice to pull in to the good old Eugene Airport and see Bob patiently waiting. Remember that Russian Easter is this Sunday. I think I need some grandkid help on Saturday, but I'll contact you. It got cold and wet this weekend and we mostly huddled inside. Emma was feeling a little down - she continues to wrestle as to whether or not she should switch schools. In the meantime I continue to debate whether or not to take another job at PeaceHealth. It's a security related role, which intrigues me. Plus the pay range is better, which means I could get a raise again. 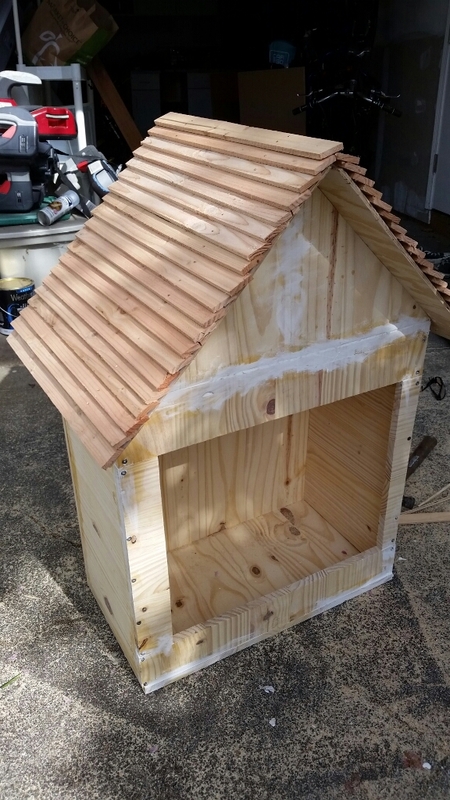 Emma and I worked on the little free library thing, which continues to look fancy and big. 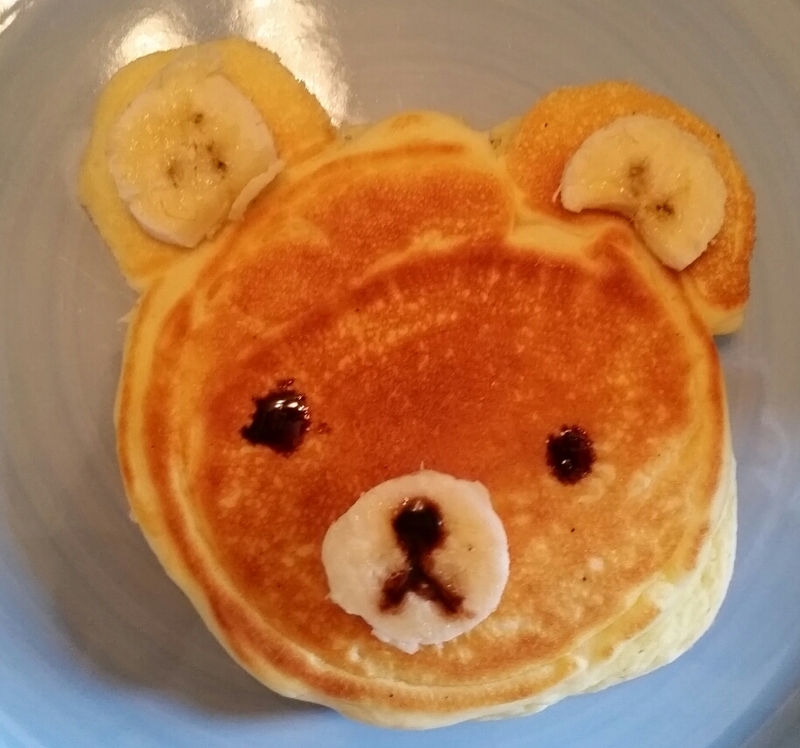 Emma made cute bear pancakes for breakfast. Isa came to visit. We ate pizza and watched Adam Ruins Everything Saturday night. I played some Dark Souls III. Emma still feels under the weather. Duncan had birthday parties. Berry had soccer games. Sam and Berry made mac and cheese for Sunday dinner, which was very nice. I was up early this morning. One of the managers at PeaceHealth called and offered me a job. There's a bump in the salary range, which would be nice, and learning new things. I do wonder what would happen if every developer vanished. I was up at 4 a.m. listening to the thunder storm and pondering options. The week has been generally uneventful. Joanna seems a little better every day. I had a cold for most of the week, though I'm mostly better. Emma's had it hard this week too. Sam is preparing for his AP classes. We watched Fargo a few times this week, and I watched him play Isaac as we often do. Duncan has been getting back into Scratch and making cool and funny games. Berry continues soccer and presented her mint and soda science experiment at school. Emma continues to ponder whether or not she wants to go to Roosevelt next year. Joanna and I had a date night in, putting the kids in the basement with a movie while we chatted with takeout around the kitchen table. It was actually rather nice. Hopefully we can get some down time this weekend. I'd love to continue working on the little library, which ended up pretty big. It was a beautiful weekend, with temperatures in the 80's today. Emma is getting anxious for summer. Friday night Joanna and I dropped Duncan and Berry off at Bounce and then we went to a Charlemagne fundraiser. We bid on assorted nick-knacks, ate little hors d'oeuvres, and chatted with parents and teachers. Saturday morning started with Sam joining us for breakfast, which was a rarity - he usually sleeps in. We also had him Friday night as Jamie was sick. Later we picked up Emma and Isa came over for a while. Berry had her birthday. Pizza and science happened later that night. Play dates occurred. Laundry was done. Today Sam and Emma went to Jamie's after breakfast, as she was feeling better after being sick. I swung by the hardware store and spent the next few hours constructing a little library as requested by Joanna. I was happy with how it turned out. Next weekend I need to sand and paint it, then mount it to a post near the street. Tomorrow is work and school. My mind is still working on trying to figure out this bug I left broken Friday afternoon. Berry got together with her friends at Putter's, mostly for the laser tag. They had a good time and Joanna managed it well. We showed up late after making pizza for dinner, recorded the festivities, and snuck out when the children moved on to play video games. It's the usual rushing about here at work. I've got a a couple junior programmers who need some attention. My mocha is long gone. I'd like to spend some time doing "nice to do" work, though I'm not sure when. Emma is apparently under the weather, though my parental senses were somewhat skeptical. Yesterday was filled with Berry's birthday. Joanna's schedule is really busy, with an article for the Register Guard due today. Tonight we go out to a Charlemagne event - not sure if I have to dress up a bit. Otherwise life is generally pretty normal. 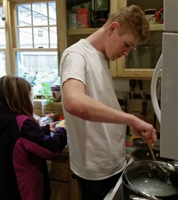 Laundry and dishes are punctuated by occasionally hanging out with kids or playing a little Dark Souls. The back shed (a.k.a. "The Dragonfly Room") is slowly coming together. We added some shelving this morning. 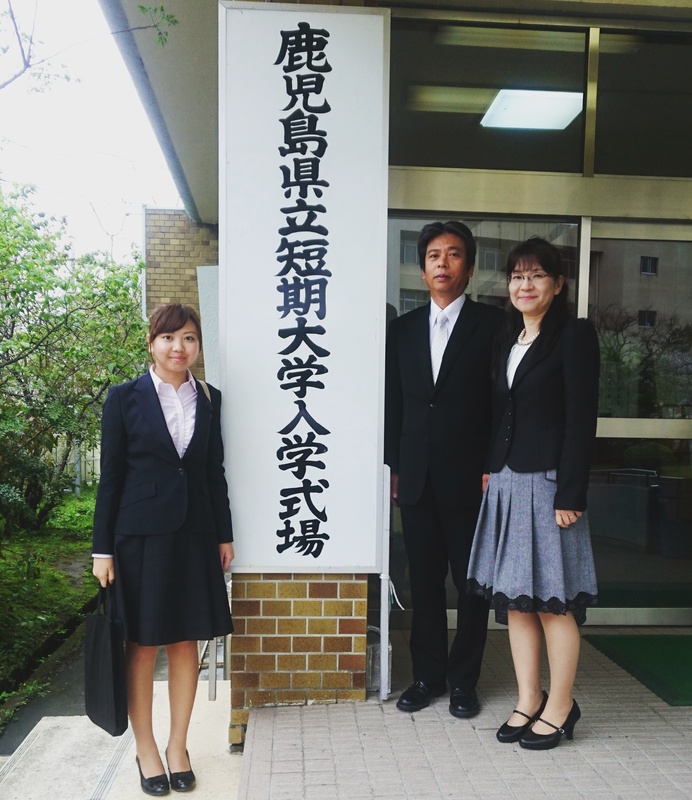 We heard from Honoka, who has entered junior college. Her family also was impacted by the earthquake yesterday. 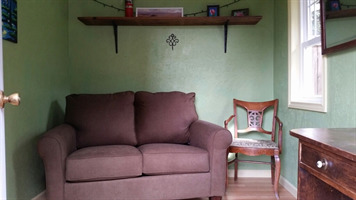 It was mild where she lives, but her family slept on the main floor just in case and her cousin relocated to a shelter after plates were knocked down. Fortunately everyone was okay. Berry turned nine yesterday. It was a little emotional, if ultimately good. 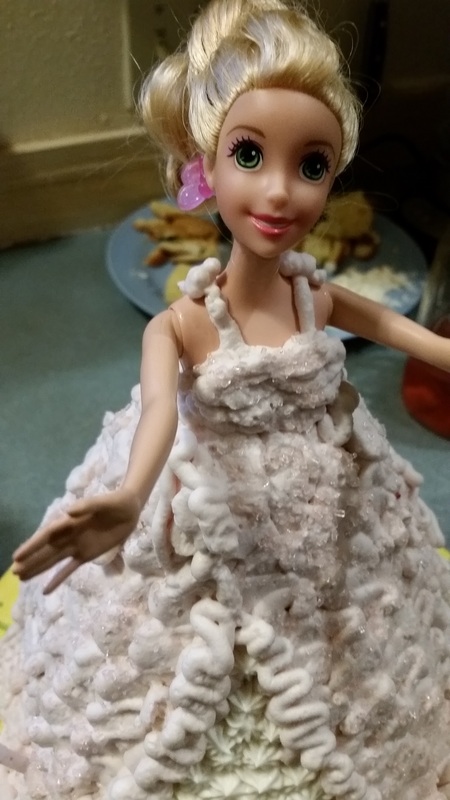 Joanna had been rushing about all week, trying to put together a Barbie cake. Apparently the Barbie was supposed to be an Elsa Barbie, so Berry was somewhat miffed. She was also initially quite skeptical of Duncan's present being cool if it only existed on an USB key. Once he showed her the custom Berry-themed Minecraft mod he made for her, all was forgiven. She was also pretty excited about having a dress-maker's manikin, surprisingly enough. We also have a maker-themed monthly subscription box - this month is building a robot. Should be a fun weekend activity. Thursday is Barry's birthday! Happy special day Barry...!!! My surgery went very well. I'm having very little post op pain as long as I'm careful sitting and walking. I plan to take advantage of lying down and catching up on movies. It was a full weekend, full of laundry, dishes, yard work, and the occasional moment sitting in the hammock. I put a little more work into the shed, running an extension cord to the other side. 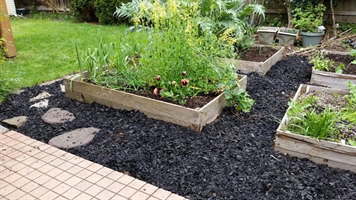 I put down new mulch around the beds, weeded, and amended it with steer manure. I opted for black mulch, which ended up looking a little stark. Isa hung out with us for a while, drawing with Sam and Emma. Duncan had a friend over for much of Sunday. I played Sundew Valley more, building up my little farm in between real-life chores. Joanna seems a little more cheerful, though it comes and goes. The MRI results come in today. Emma's DNA results are in. She's mostly English, with a smattering of other places. I think the Irish came through Jamie's mother while the Scandinavian was through Jamie's father. There's a tiny bit of eastern Europe and Greece/Italy, which is interesting. It also decided that Samuel Miller was immediate family and Sue Wielesek was close family, which eliminates the possibility of her being a goblin baby, switched at birth. I'm at work, just finished my mocha. I'm trying hard to keep the place from falling apart, with mixed success. I appreciate Joanna and the kids for making home a pleasant, funny place to return to each day. Nothing too exciting this week. Joanna and I had a nice Wednesday date night, strolling around downtown in the warm spring weather. Emma is cheerful and artistic. Sam finished Candide, which he really enjoyed. Duncan is working on a custom Minecraft mod for Berry's birthday next week. Berry continues soccer practice. Joanna still has aches and pains, but is usually cheerful. It's been a relatively uneventful week. Monday night Sam and I had an evening springtime walk where he talked about Hitler. He's enjoying his AP European class quite a bit. Yesterday I was on the road for five hours, back and forth to Vancouver. We interviewed a few candidates, a couple of which might work out. No one's a perfect fit, but they seemed like they should be able to do the job. I picked up Berry from soccer practice and Sam from his mom's house. Emma was very cheerful and showered me with hugs. I'm glad she was in a good mood. Joanna is getting an MRI and seeing a neurologist. Her annoying issues continue, though she seemed in a somewhat better mood yesterday. We're doing date night tonight, so hopefully she's up for it. I just got word that my cousin Mark, my aunt Alice's youngest son, died. He had a massive heart attack on Easter Sunday and died while driving. I believe he was in his 50s. It's late Sunday, with my family arriving soon for family dinner. It's been the first warm and sunny weekend of the year, though admittedly full of allergies as well. Friday night was exceptionally quiet - no Emma or going out on a date. Saturday morning I picked up Emma and we puttered around the house for most of the day, doing chores and getting ready for Jade's birthday party. Her masterpiece was a box of memes for her friend, with Sam helping with the Illuminati sculpture. I ran her over to her friend's house, though she returned after dinner. Isa came over for a few hours and ate pizza with us. It was all rather pleasant. Joanna went shopping and Craigslisting, returning with supplies for the shed. She's still feeling pretty bad, which is worrisome. She did manage to take the kids to church. I worked on putting the shed together for her new work space. It's not quite done, but I'm pretty happy with how it turned out. Otherwise we've been hanging out and enjoying the weather. Emma and Berry painted more drawers of the dresser. Sam hiked with his mom and played Isaac. Duncan had a play date. Life goes on. 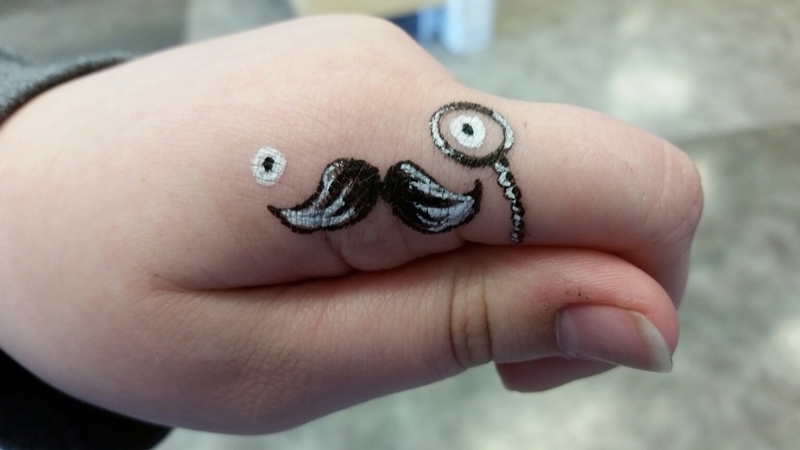 Emma's art projects continue. 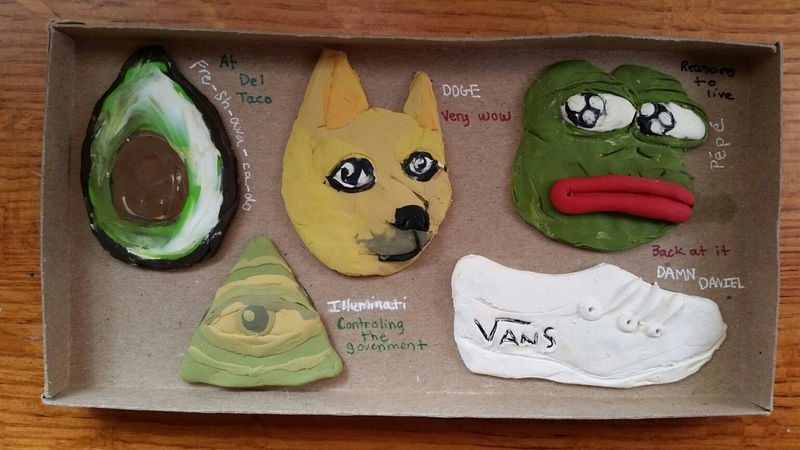 For her friend Jade's birthday present, she made clay representations of dank memes. When Emma went to get my hair cut, she made her hand all fancy and kissed me. Another Mocha Friday has begun. I bought our new consultant Jeremy coffee this morning - he seems like a good guy and I'm hoping it all works out. 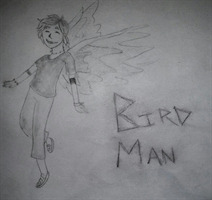 Emma's art is being displayed at the regional art show at North Eugene this Saturday. 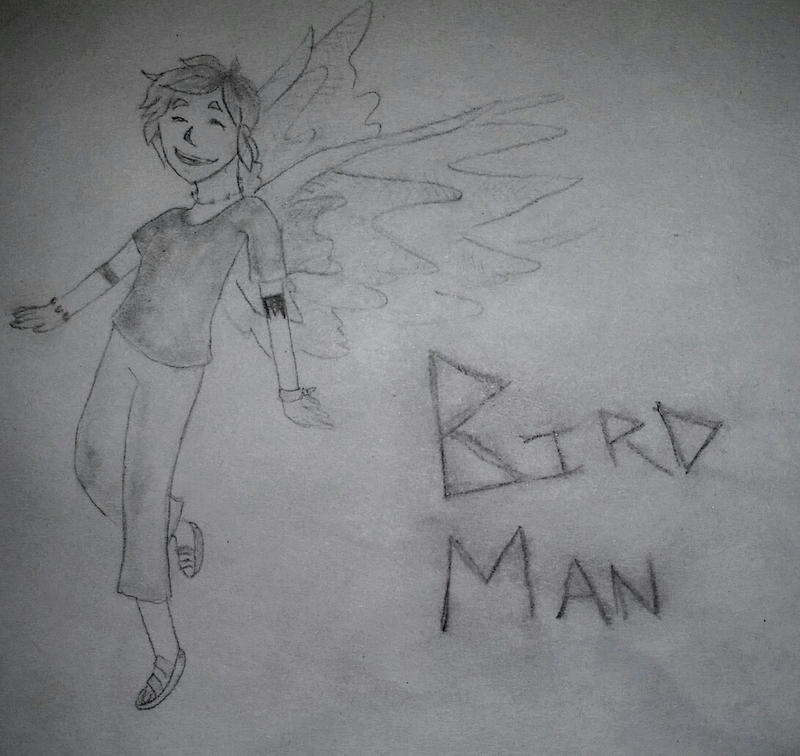 It's an art book titled "Bird Man", which came from one of Sam's dreams. It's rather surreal. Emma also has a birthday party she's going to this weekend - her social life is rather exciting these days. The kids all seem to be doing well these days. Berry had fun at soccer practice yet again. Duncan is his usual goofy self. Sam and Isa are doing well and he seems pretty cheerful. He was extolling the virtues of the book Candide last night. Joanna continues to work through the insurance process. I think she continues to improve, despite some lingering weird issues like tingly arms. Hopefully we can get her ship shape and Bristol fashion relatively soon. We also saw the International Space Station zip by the sky last night. It was right over the horizon at 8:10, crossing the sky over five minutes. I think tonight around 8:53 it'll zip overhead. The key is to have it well lit by the setting sun. The kids were excited to wave to the astronauts and wish them safe passage.